Interactivity will drive the 2019 e-Commerce web design trends. It is because designing of user-friendly websites helps facilitate smooth navigation that lives up to customer expectations. Therefore, if don’t have an updated website in- line with the contemporary e-commerce design trends, you might face challenges in your business journey. Our article aims to highlight the eight-e-commerce web design trends of 2019 that will help boost your online business to achieve a better ROI. Mobile is now the most used medium for accessing the internet – In 2018, 61.2% of people connected to the Internet using their devices. The figure is expected to grow up to 63.4% in 2019. Google has already incorporated this concept into its algorithm and now indexes priority websites compatible with mobile devices. So think “mobile first” when you update your website according to the latest trends in e-Commerce web design. User-centric elements add more value to the website conversions, and hence it gets significant consideration by every thoughtful website. Launched by Google more than a decade ago, the recognition for material design has grown in the last three years. Inspired by real objects, it adds geometric shapes, along with shadows to the product design for a 3D effect. With a touch of micro-interactions and delicate animations, it helps enhance the user-friendly browser experience. “Less is more” is the motto of this 2019 e-commerce website design trend. The process of eliminating non-essential elements leads to a cleaner and better-oriented design. The sleek appearance of the minimalist sites brings a classy yet modern effect to attract and engage users. 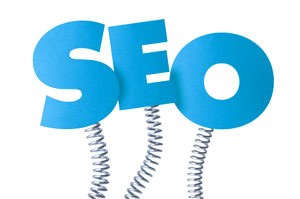 Long-scrolling or infinite scrolling websites place all the necessary information on a single drop-down page. It enables seamless, constant interaction for users, especially the ones using the smartphone. The mobile-friendly approach eliminates the need to load several sub-pages. The algorithms of the infinite scroll feature pre-filter the information provided and present the most relevant entries to the users first. It is supplemented by adding pictures in between to keep the user interest alive – a convenient option to scroll through for online store visitors. 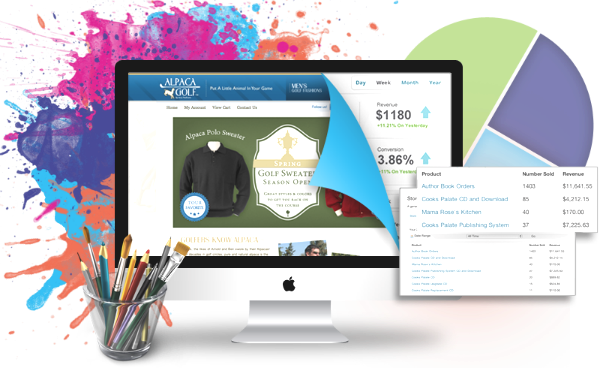 Prominent eCommerce website design and development practice focuses on the effectiveness of an interface. It is paramount from a conversion and referencing standpoint. It is thus advisable to inject micro-interactions through the rich motion animation. Animations allow designers to convey more information in a proficient manner. It helps generate interest and offers the storytelling ability in seconds. Further, they improve the site performance by replacing videos with lengthy loading cycles. CTA buttons guide users towards taking the final action. The secret to the success of the CTA button is the overall harmony created by the page. The new eCommerce web design techniques include the inclusion of thin layout frame with ghost buttons and message. It is with a thick stand out from the background color. The target audience, the tone, the choice of words, and the nature of the action all play an important in the creation of an effective CTA. Induce your visitors with catchy CTA buttons like “Click Here,” “Buy Now,” “Save for Pre-order,” more. Even though it is just a simple button after all, but the details and changes you add to it can make all the difference. They offer users with quick inputs on a topic. It is a critical outline for eCommerce websites with Hover Pictures. Overflights or hovers include all sorts of effects such as contextual hints, rotations, zooms, and more observed when you hover over them with the mouse cursor. The drifting of the mouse over a hover picture helps answer some of their questions. Further, the hover effect of a button offers a basic idea of ​what will happen with a click. They help transform the user experience from common sites to interactive and reactive environments. As a result, the user spends more time on the site, which allows them to see the products and eventually subscribe to the newsletter or even make a purchase. White Space offers breathable space for the website. It is yet another popular web design trend in e-Commerce. They provide enough space for the content and other components. Further, web designs with enough white space are easy to decrypt and use. It emphasizes the essential elements of the page by making the page navigation intuitive and clear. eCommerce websites include white or any other color shading to sort the items within the layout. Therefore, it allows the viewers to consume the displayed information with ease. The e-commerce websites design trends listed above may not be exhaustive but are among the ones that will help improve your website ROI. With the right combination, you can further increase user engagement and gain an edge over your competitors. Rishabh Software offers the best B2B eCommerce solutions. It helps companies to develop intuitive and relevant web design. And, further supports their goals and differentiates them from the competition. Looking For eCommerce Web Development?Talk to our experts to get the best suited eCommerce solution for your business.